Gives the old suits the appearance of new ones. Clean, takes the luster and stains out, disinfects and removes the smell. Easy to use, harmless to tissue. 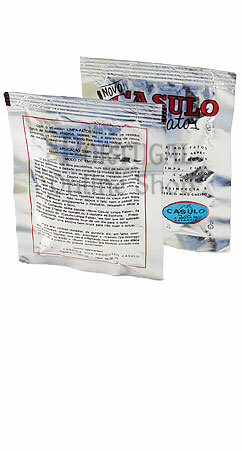 The 'Casulo LIMPA FATOS" delivers to all dresses, men's suits, hats, rugs, etc. the appearance of new, cleaning them entirely, removing all stains, gloss, reviving their color and giving them a new finish. Very simple application; Absolutely inofensive to tissues! The powder contained in the two packets into a total of six (6) chemicals is poured together (the mixture of two powders is what makes the result) in 1 liter of hot water, stirring until it melts. 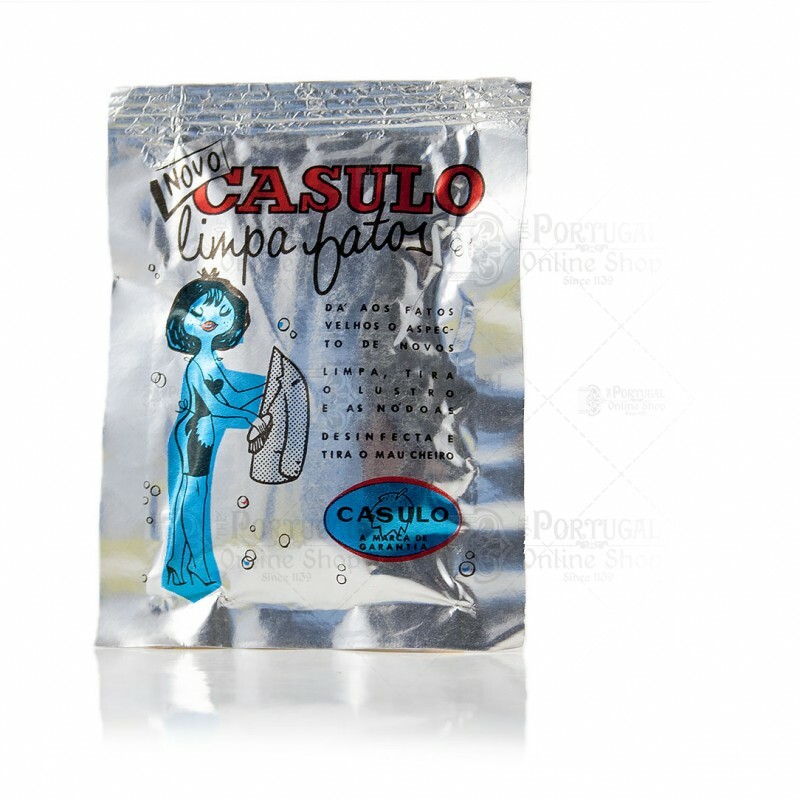 Then you brush, with a well soaked brush in the "Casulo Suit Cleaner" solution, the fabric to clean, repeating a second time if needed, in order to better soak it. 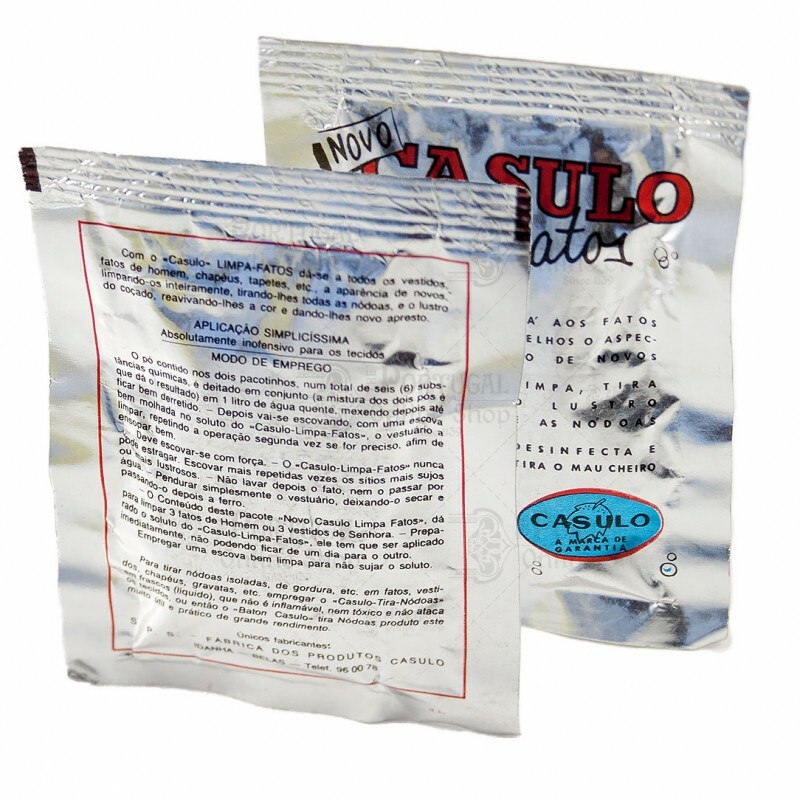 You should brush heavily - "Casulo Suits Cleaner" does not harm the fabric. Brush more times in dirtier or more glossy spots. - Do not wash or cleanse the suit after brushing. - Simply hang it, letting it dry, and then iron it. 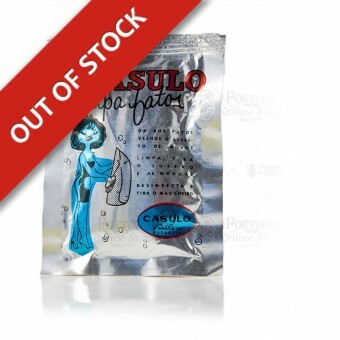 The contents of a single package of "Casulo Suit Cleaner" is enough to clean 3 man suit or 3 ladies dresses. Once prepared the solution, it should be immediately applied, it cannot stay over night. Use a clean brush so it does not soil the solution.